An anniversary version of the Mazda MX-5 is called the MX-5 30th Anniversary Edition. 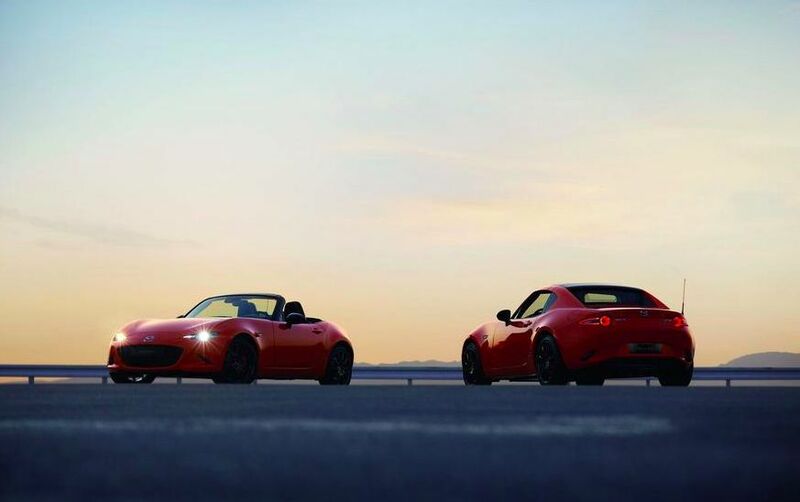 Mazda MX-5 is dedicated to the 30th car' anniversary, which debuted in Chicago at the local auto show. A novelty equipped with exclusive body color. In total there will be 3,000 such cars. For the Mazda MX-5 30th Anniversary Edition was prepared an orange shade of Racing Orange. For roadster is given exclusive forged aluminum wheels Rays ZE40 RS30, Bilstein shock absorbers and a mechanical limited slip differential (for variants with the MCP), Recaro seats with combination leather and Alcantara, Brembo front brakes and rear Nissin.